At Biomed, we are committed to providing our customers with exceptional medical grade fabrics that serve a range of purposes and functions. Currently, these fabrics have been of great benefit to the medical industry and used in the creation of CPAP chin straps for Sleep Apnea, Nasal Masks, Resmed headgear and other CPAP accessories through our long-standing partnership with Resmed. Additionally, our medical grade fabric is also widely used in the sporting rehabilitation market, as our range of Medical Sporting Compression Goods, provide tremendous potential for people who require support braces to stay active, and lead a healthy lifestyle. 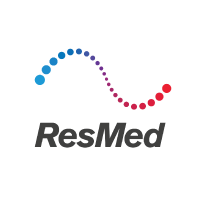 Currently, Biomed is proud to partner with Resmed and provide their company with a range of medical grade, quality products including CPAP masks, medical headgears, chin restraints and other sleep apnea related products designed to be used with CPAP machines. This partnership has been very successful and as a result of our excellent customer service and product, we have become their go-to supplier for CPAP supplies. Through this quality service and product, we have also managed to achieve an A grade supplier score of 97/100 within Resmed’s supplier network. Our team is proud to hold such an achievement and constantly works to maintain our reputation and standards with Resmed and all our partners. Along with our commitment to customer service and quality assurance, Biomed places a vast significance on innovation and ingenuity. This means that our that our hypoallergenic, latex free and antibacterial fabrics would also be of great value beyond the medical industry, and provide immense benefit to other environments such as the military, hospitality, beauty, sporting and furnishing industries, where such medical-grade resources may be required.